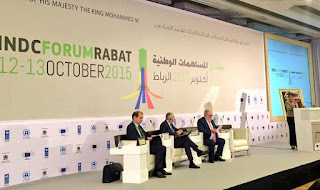 RABAT, Morocco (PAMACC News) - After 20 years of on-going climate change negotiations, there is need for a climate change framework that is not punitive and does not prescribe solutions to countries rather, the new framework should let countries prescribe what they can do, European Commissioner of Climate and Energy Miguel Arias Canete has said. The Kyoto Protocol which Canete described as punitive, has been scolded by many especially in the developing world who claim it placed a burden on developing countries by making them pay for the sins committed by the developed world who are the major emitters and contributors to the global warming. It is for this reason that countries are looking forward to the Conference of Parties (COP21) to be held in Paris, France in December this year as a turning point in climate change negotiations. Countries agree that Paris deal must deliver an ambitious global climate deal that is not punitive but rather one which has a bottom-up approach in tackling extreme effects of climate change and keeping global warming in check. To achieve the bottom-up approach, countries were asked to come up with their country specific contributions which will make the basis for the Paris deal. In what has been described as unprecedented move in the global climate change fight, 150 countries have so far submitted their pledges known as Intended Nationally Determined Contributions (INDCs) to the United Nations Framework Convention on Climate Change (UNFCCC). The pledges outline how each country intends to participate in the global efforts to tackle climate change and contribute to the internationally agreed objective of keeping global temperature rise below 2 degrees Celsius in order to avoid dangerous climate change. 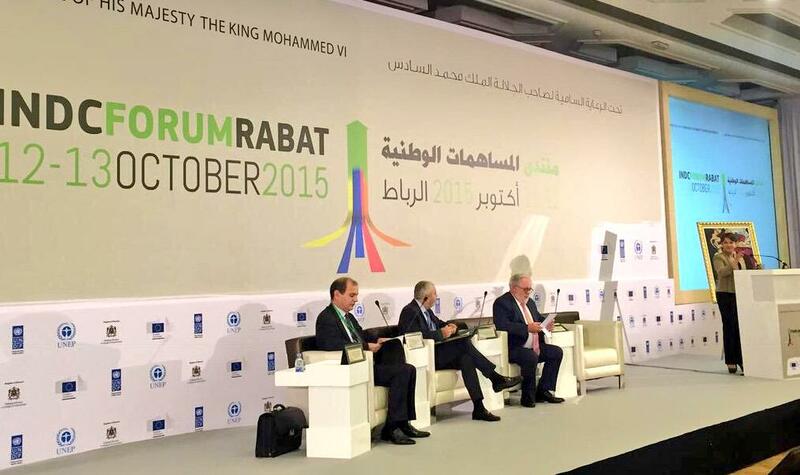 Canete, speaking at the end of a two day high-level international forum in Rabat, Morocco, held from October 12-13 2015 said that countries have done serious work and applauded the political will shown in designing such ambitious and comprehensive climate strategies. He stressed that Paris deal should allow countries prescribe what they can do and not impose solutions on them. “The INDCs put forward by countries demonstrate governments’ commitment to cut greenhouse gas emissions. Governments have shown interest to make Paris a success,” he said. Moroccan Minister Delegate in Charge of Environment Hakima El Haite said climate change negotiations are not a choice about who lives and who dies. Haite said gone are the days when climate negotiations were for environment ministers and policy makers. Now everyone is involved and is taking part. “Climate change is at the heart and core of humanity and their dignity. We have the responsibility for our children by ensuring that the next generation is protected from these adverse effects of climate change,” she said. Haite strongly believes that climate change fight will not end with the Paris deal but it’s a long term fight. Delegates to the forum unanimously agreed that much as the INDCs look ambitious but pledges alone are not enough to keep global warming below 2 degrees Celsius. They agreed that in Paris, there is need to agree on a long-term goal to guide these efforts—INDCs and a process of taking stock of the progress made by countries and in some instances raising the ambitions. It was then suggested that there will be need to review INDCs every five years to properly check their progress as well in some cases raise ambitions of individual countries. The INDC Forum was organised by the European Commission, the Moroccan government, United Nation Development Programme (UNDP) and the United Nations Environment Programme (UNEP). It brought together around 200 participants incluing ministers, government officials, academic experts, private sector, journalists and civil society representative from over 40 countries.